It was reported in July this year that the Android Market will soon cross 100,000 apps as the count stood at 70,000 apps and developers were embracing the Android platform with more rigour than ever. It took 3 months but finally the feat is achieved as the Android Dev Team just announced on Twitter about the 100,000 app debuting on the Android Market. The count is increasing every day as Android has reached from 30,000 apps to 100,000 in just seven months. The announcement is still to be commented on in detail on the official Android blog as it was just sent out in the 140 characters format via Twitter. The number is of course way lower than the Apple App Store which boasts of almost 300,000 apps and counting but it’s still a huge deal for Android and Google and Android is considered to be a market with all necessary and important apps available that any user could ask for. The Apple App Store also has a huge number of ‘just for useless fun’ apps which serve no purpose but only add to the number of apps in the store. 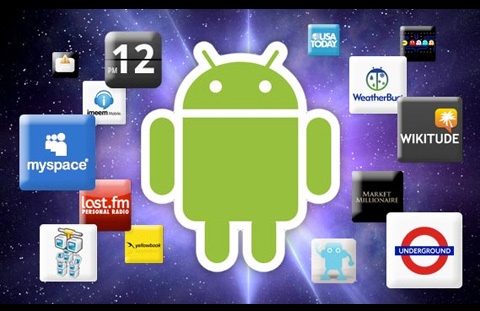 Android on the other hand is famous for quality and content more than quantity and its open platform. Celebrations are in order at Google and rightly so.